Your second nominee for Queen is Mary-Liz Murray. Take it away, M-L! Get swept away with Mary-Liz! Mary-Liz Murray has never attended a homecoming anything and is super excited that Holland Homecoming is her first. She was last seen on the Holland stage as Joy in 2009’s Aloha Say the Pretty Girls and has been a proud audience member and supporter since then. Mary-Liz is a founding member of The CoLab Theatre Company, and an active member of the Boston theatre community as an actor, audience-member, blogger, director, and administrator. 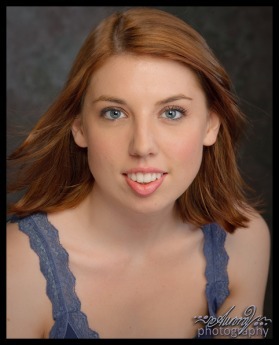 Besides Holland, Mary-Liz has worked in varying capacities for many local companies including Fort Point Theatre Channel, Company One, Wheelock Family Theatre, Tufts University, Playwright’s Platform, Exquisite Corps, and Shakespeare Now!. Mary-Liz’s love for theatre is only matched by a love of shopping, bacon, and macaroni and cheese. The color pink and wine in general run a close race for runners up.